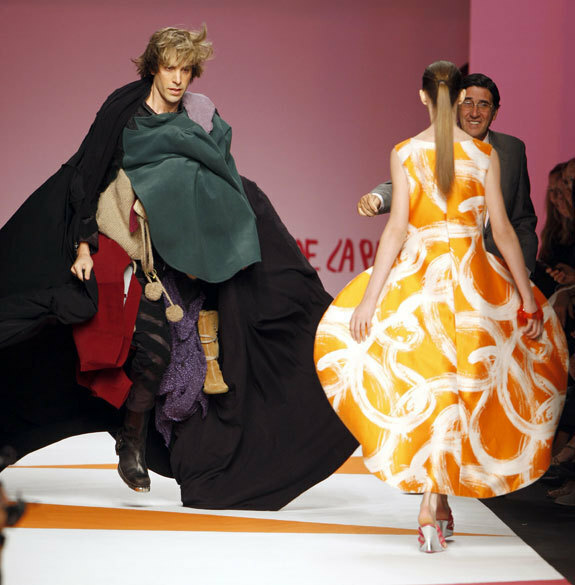 Comedian Sacha Baron Cohen caused another security alert when he stormed the catwalk at Milan Fashion Week. 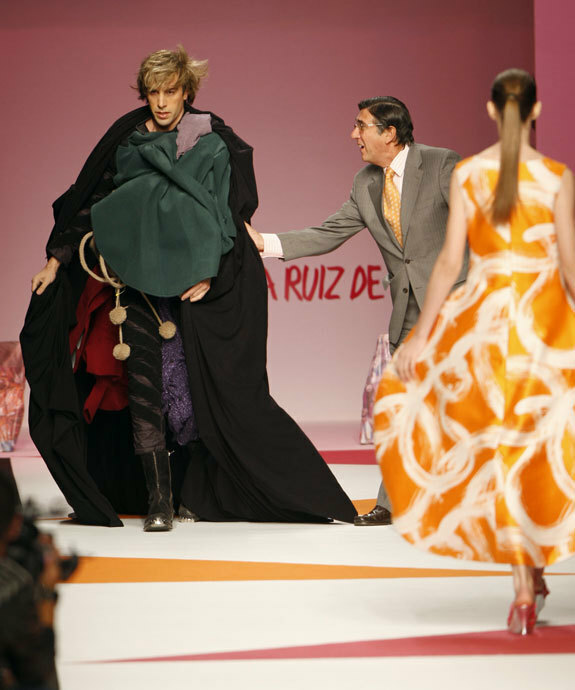 Cohen interrupted the fashion show of designer Agatha Ruiz de la Prada in Milan making it onto the catwalk dressed as his Austrian model Bruno. 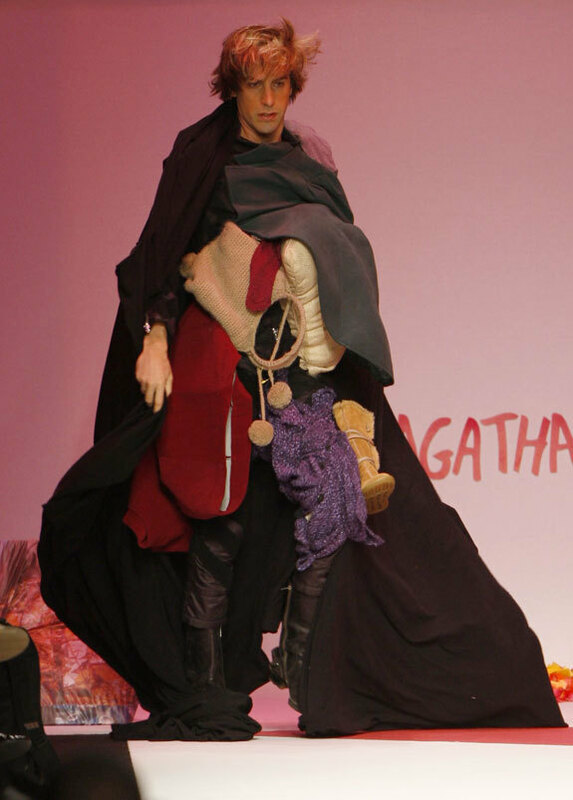 Dressed in a black cloak, and a bizarre bundle of clothing, Cohen strutted down the catwalk past the shows' models. But the police were called when he refused to leave to restore order. Scantily clad models screamed and security guards dived on him and several others with him and bundled them away. 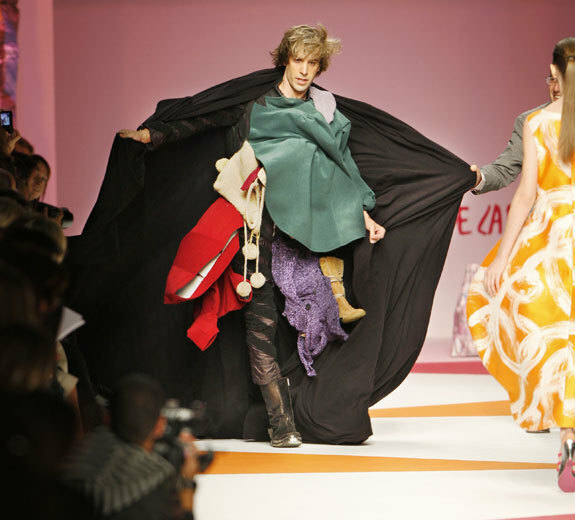 TV footage screened on Italian TV showed Cohen dressed as his creation Bruno, a flamboyant Austrian fashionista. Cohen is in Milan working on a new film called Bruno: Delicious Journeys Through America for the Purpose of Making Heterosexual Male.